WHY GO: Most people come to Middlebury VT for the liberal arts college of the same name. But another college – and a certain kind of horse – are also prominent features of this tidy town. 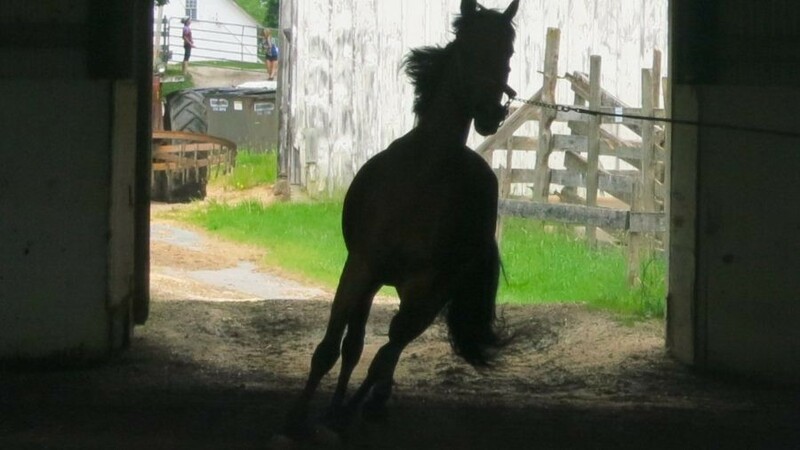 The origin of the sturdy but graceful Morgan Horse can be traced to Middlebury Vermont, and the University of Vermont maintains one of the best “attractions” in the state – the Morgan Horse Farm – two miles out of town. 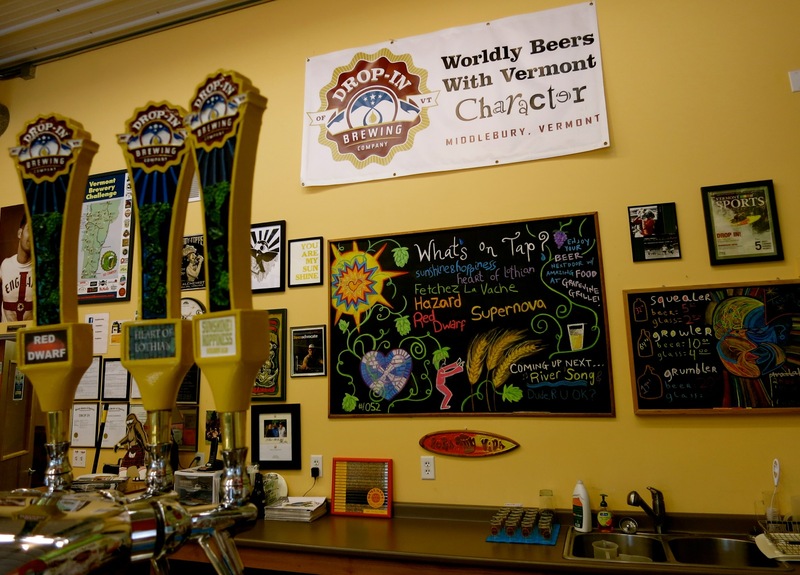 But Middlebury is also becoming known for a variety of beverages – from wine to beer to spirits – and even hard cider, with tasting rooms just minutes apart. So, come to Middlebury for the college and horses, stay for the food and drink. The Mavens tell you how. 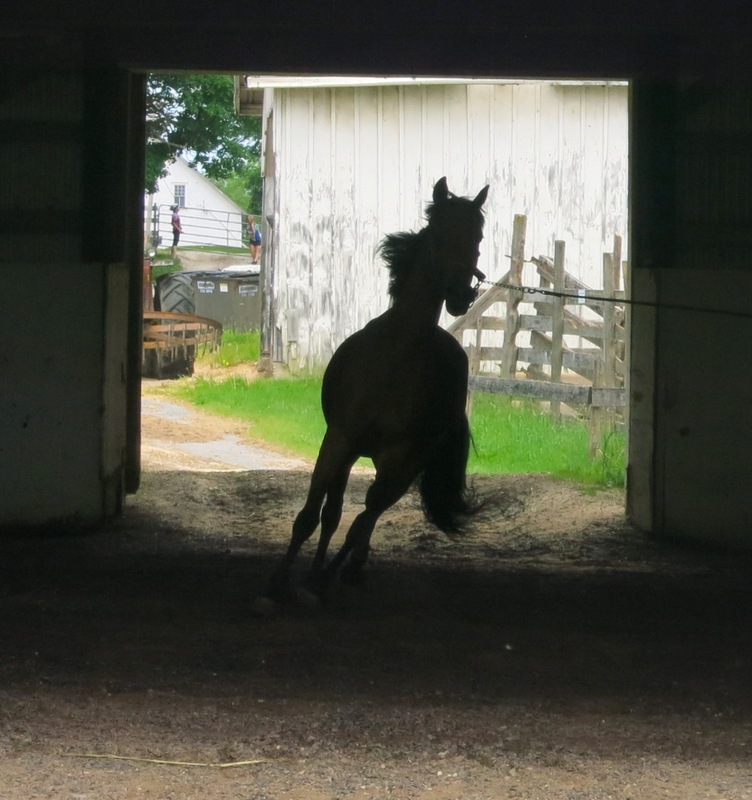 TOUR: University of Vermont Morgan Horse Farm. Seventy percent of the world’s Morgan horses can be traced back to this 215-acre farm in Middlebury VT. A tour of the farm begins with a video imparting the history of “America’s First Breed of Horse,” then offers a chance to interact with the sixty or so of them living here now. The Morgan horse has a quirky, all American origin story. In 1789, Vermont native, Justin Morgan received a colt from Springfield MA as a debt payment. The horse had a unique look and superb athletic ability. Naming him Figure, Morgan observed that his new acquisition could “out trot, out run and out pull” all other horses and was hard working, steady, and didn’t need to eat much. Wanting more like him, Morgan began to breed Figure and discovered that no matter what kind of mare was used, all the foals had the stallion’s attributes. Figure, with his big arched neck and compact body, turned out to be one of the most important sires in equine history. In the manner of the day, the horse was named after its breeder, and went on to become the primary horse used in battle during the Civil War. In fact, in 1906, this farm was given to the US Government, which trained and bred Morgan’s for military use. These “Government Morgan’s” were so coveted for their strength and reliability; they were shipped to Europe as well. 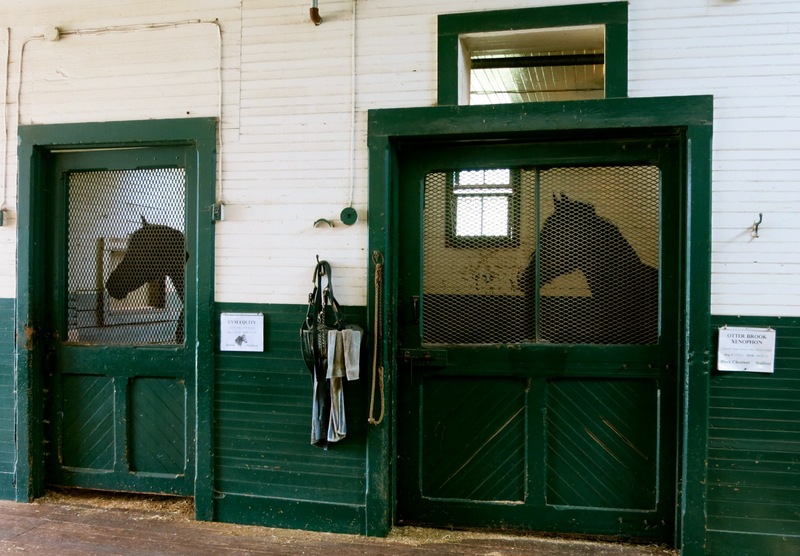 In 1957, the farm was deeded to the University of Vermont with a mission to “perpetuate and improve the breed, provide educational training, function as a public relations arm for the University, and to provide a resource for research in equine science.” And so, UVM opened The Morgan Horse Farm to the public. 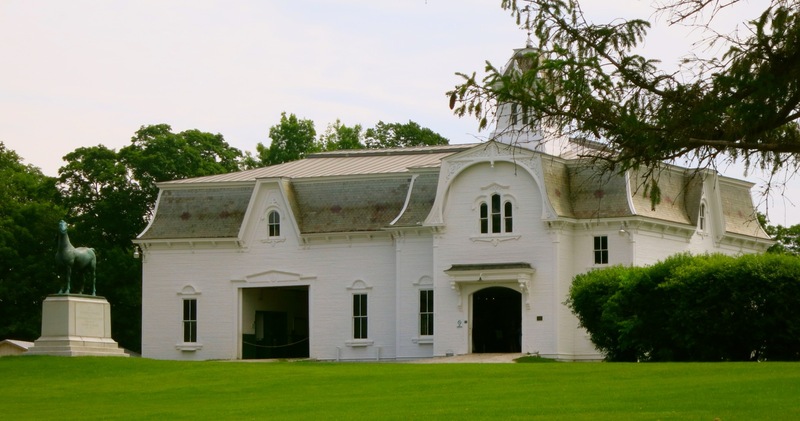 Walking into the fanciful white barn, built in 1878, you might assume that the horses are outside. Morgan’s are not prone to much drama or noise. They stand quietly in their stalls, and most (except the nippy young ones) are gentle and used to being handled. If you’re lucky, you may be able to see foals that were born earlier in the spring nuzzling their mothers. You’ll descend to the “Grooming Alcove” and the indoor training ring. It’s a very hands-on, and tranquil visit, where you won’t feel in any big rush to leave. Hanging out with these beautiful creatures has a calming effect. Open daily from 9-4 (last tour at 3) from May until the end of October – tours $5. 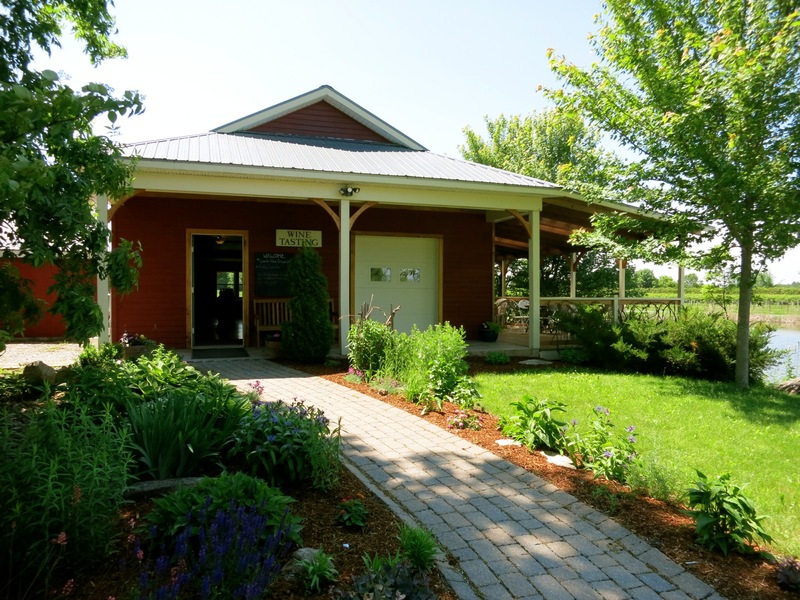 DO: The Middlebury Tasting Trail. It’s only five miles end to end, so you can easily sip the fruits of vine, tree and earth in one afternoon. Establishments are open Memorial Day to Columbus Day 11-5pm. And remember, designate a stay-sober person to drive before you go. Begin at the Lincoln Peak Vineyard, which grows all of its own grapes and has won awards for its Red Marquette – a cold climate varietal. The slightly sweet Ragtime Red is a “great backyard BBQ wine,” while the Cassis ’14, a currant wine, pairs perfectly with chocolate. It really doesn’t matter what you try – the porch overlooking a landscaped pond and vineyards beyond is just stunning. And if you’re here on Friday nights, plan to stay. There’s live music on the lawn. $5 for 5 tastes, and you get to keep the glass. Next, head around the corner to Woodchuck Cider House, the cidery that brought the world Gumption. Opened in Aug. 2014, this industrial place churns out some of the most innovative hard ciders on the planet, and you can taste any four for free. Take the self-guided tour above the massive production rooms, then descend to the bar to taste Ginger, Chocolate, “Cheeky Cherry”, Local Nectar, the flagship Amber or any one of 24 flavors of this fermented apple beverage. Come on Thursdays between 5pm and 6pm and get pizza and a pint for $6 or $7. You’ll never buy another bottle of Kahlua again after sipping Appalachian Gap Distillery’s Kaffevan (that lists among other ingredients, “magic.”) Real cold-brewed coffee and Belgian candy syrup meld to create this unbelievably toothsome coffee liquor. 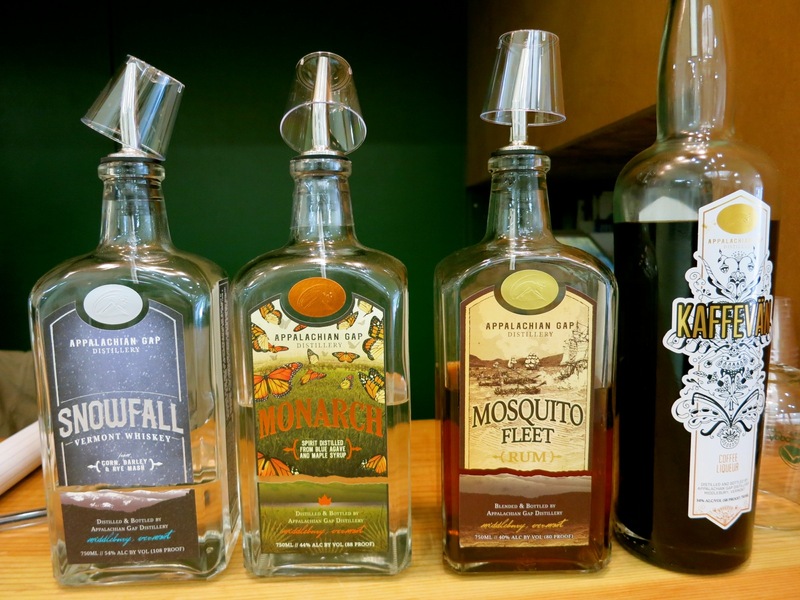 This small distillery also makes Snowfall Whiskey, Monarch “Tequila” – from blue agave and maple syrup, and Mosquito Fleet Rum. I know what’s going into my next White Russian. Follow the Gap with the Otter – or Otter Creek Brewing, the most commercial on this list. New brews include Back Seat Berner and Over Easy, and you’ll get 6 samples for $7. 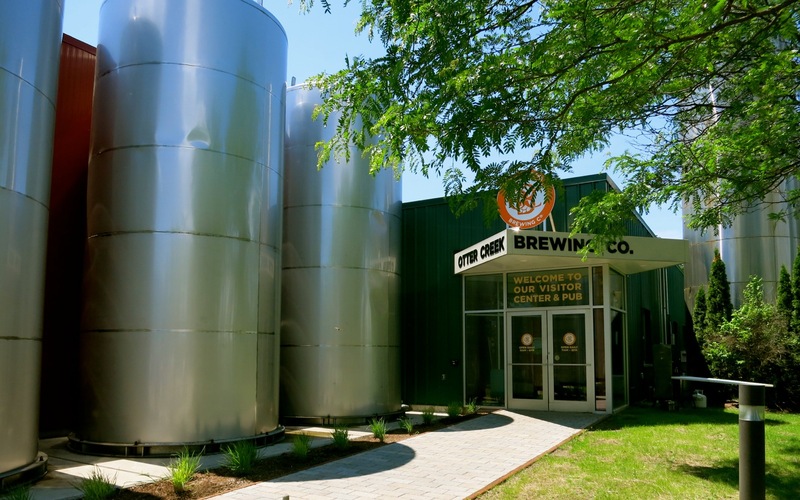 Finish up at Drop-In Brewing – an outpost of the American Brewer’s Guild’s brewing school. It’s tiny, but dedicated brewers and brewers-to-be spend their waking (and probably some not-so-awake) moments working on the best beer man can make. Try the flagship Belgian Golden Ale, Sunshine & Hoppiness. It’s happiness in a pint glass. VISIT: Sheldon Museum. The 1829 Judd-Harris House was built by “two guys in the marble business” next to Middlebury’s marble quarry. It became a rooming house, and then, for a very short period, a brothel, before former boarder Henry Sheldon bought the place and started to collect things. Lots of things. 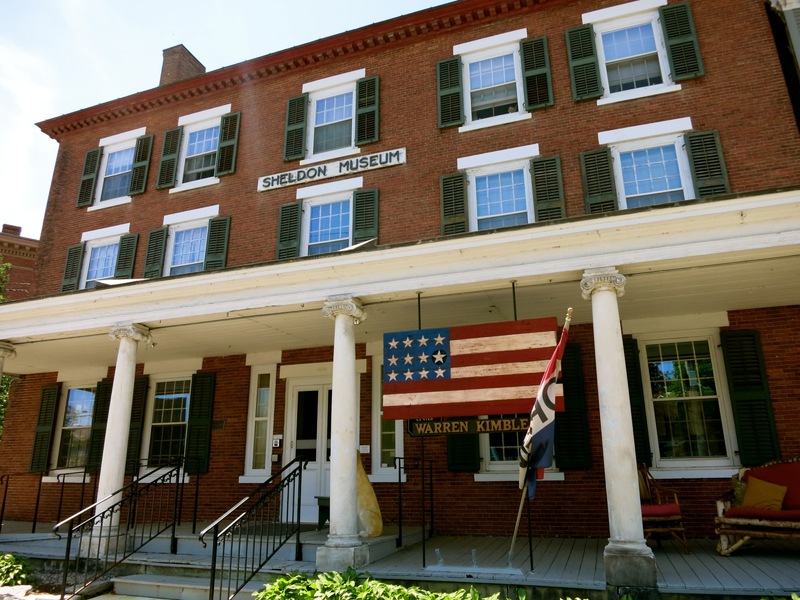 In 1882 Sheldon chartered the three-story building as a museum – making it the “Oldest Community Based Museum in the Country,” and it is now known for its architecture, its six black marble fireplaces (thanks to Judd and Harris) and a beloved garden. The Sheldon is also a repository for all of the papers and publications that Henry Sheldon hoar…, um “collected” throughout his years – photos, newspapers, diaries and war papers going back over two hundred years. Those researching local Vermont roots will positively swoon with joy. 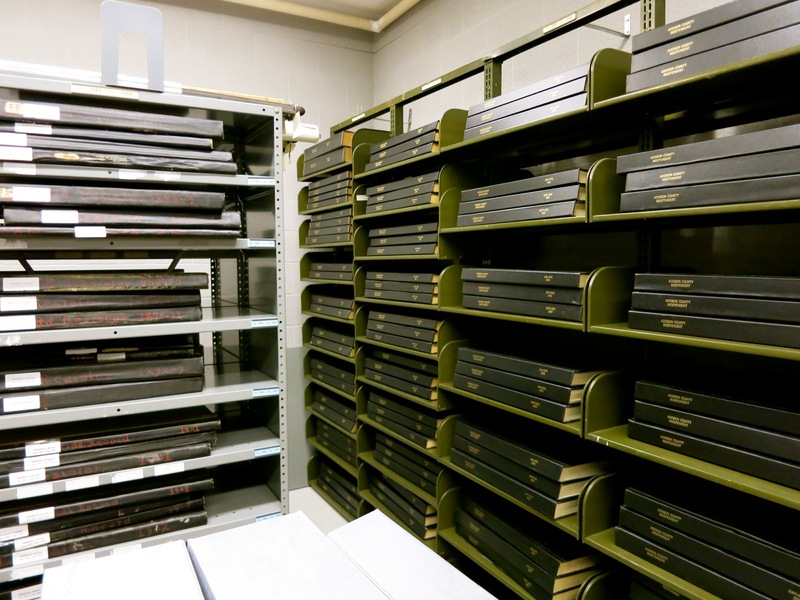 The walk-in vault houses every issue of The Middlebury Mercury Newspaper from December 1801 on, and “War Papers” going back to before the Civil War, along with 100,000 other fragile works on paper. Not only will you find these precious items, but the Sheldon Museum is staffed with knowledgeable and friendly volunteers just waiting to help you. This was one the Getaway Maven’s best offbeat finds. Wandering through the museum itself is a delight. 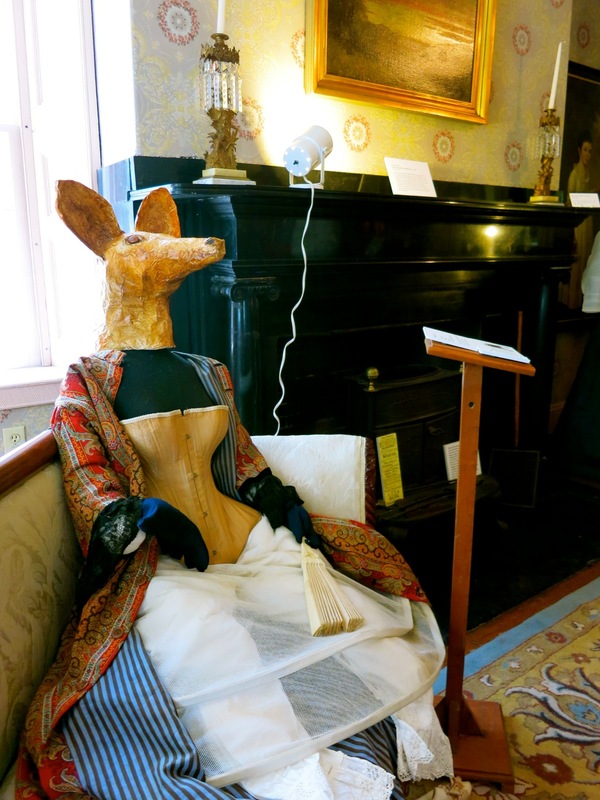 The curator has a sense of humor – juxtaposing traditional furnishings with contemporary folk art. He also brings in well-known artists, like neighbor Warren Kimble, for temporary exhibitions. It’s a very cool small museum and definitely worth an hour of your time. Open Tues-Sat. 10-5, Sundays 1-5 in summer only. $5. 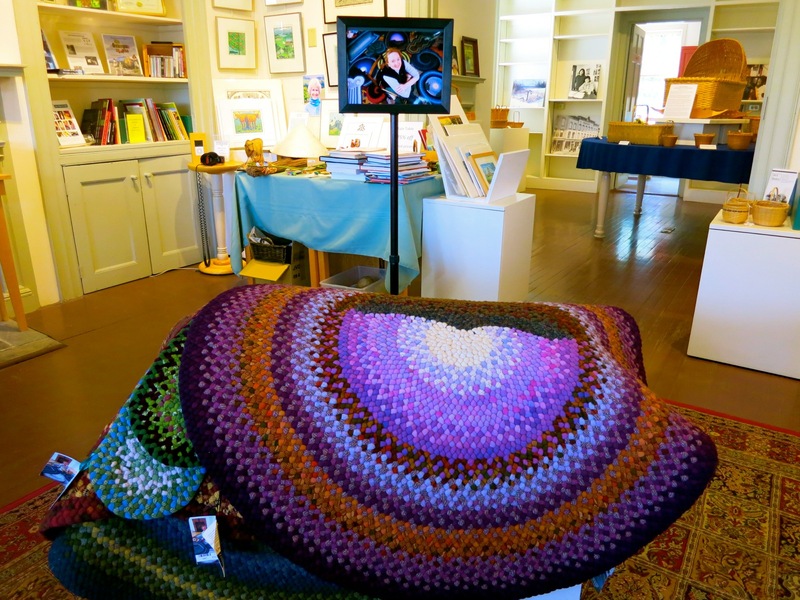 VISIT: Vermont Folk Life Center. Video and audio “exhibits” tell the story of small town and farm life from those who lived and still live it. One of the best is a series of interviews with Daisy Turner (1883-1988), the daughter of a slave, who was a hundred years old when caught on camera in 1985. During one account, she remembers to the last word a poem about her little black doll that she made up, on the spot, in her second grade glass. The teacher gave Daisy a poem to read, but it seemed too disrespectful of her much loved toy. So right then and there Daisy defiantly changed the words, much to her teacher’s and white classmates’ surprise. At 100, she was feisty, with an impeccable memory – still living in the woods on her own and chopping her own wood for heat. When Daisy was 103, her daughter said enough was enough, and moved her into a nursing home where she lived another two years. Go and watch these interviews. They are funny, compelling and chock full of the power of the human spirit. Open Tues – Sat. 10-5. DO: Gaze over the waterfall that cascades under the Main Street stone bridge, and shop the boutiques and galleries along the road. SEE: Town Hall Theater. In the evening, take in a live show at the $5 million-renovated Town Hall Theater. It’s been beautifully restored and worth peeking in even if you don’t have theater tickets. VISIT: National Museum of the Morgan Horse. This little bricks and mortar establishment in downtown Middlebury celebrates the Morgan horse in many forms; paintings, sketches, periodicals and sculptures. Pop in to this small storefront spot for a look after you’ve visited the farm. Open Tues-Fri 1-5, Sat 10-5, free. VISIT: Middlebury College Museum of Art. Even if you didn’t go there, or don’t have a child looking at or attending the school, you’ll want to step into this contemporary, encyclopedic museum. 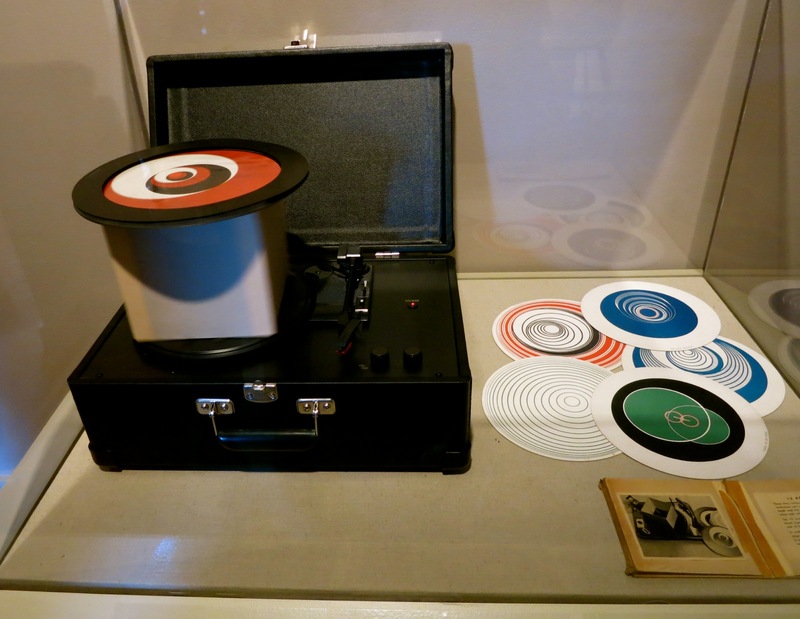 Most exhibits are temporary, but Marcel Duchamp’s collection of optical illusion discs rotating on a turntable is a mesmerizing staple. Grab an “Art In Public Places” booklet, and take a stroll. 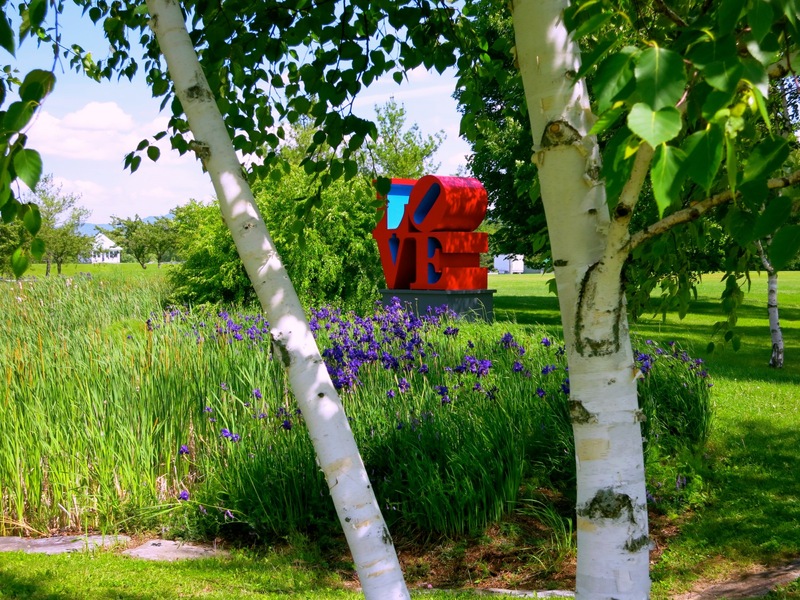 You’ll find one of Robert Indiana’s LOVE sculptures near the pond right outside, and twenty other works of art around campus. It’s like a treasure hunt. Free, Open Tues-Fri. 10-5, Sat and Sun. 12-5. EAT: Storm Café. Sit outside on the deck that hangs over the river near the base of the falls. The café has been a local “farm-to-table” favorite for years, with dishes like Stormy Duck with mushroom and sweet pea risotto ($28), Cod Piccata ($23) and snappy fresh salads. EAT: The Lobby. This newcomer is on the river at the top of the falls. In an old mill house, the menu has a decent number of vegitarian dishes that change seasonally. Yes, you can get a meat burger, and a NY Strip Steak ($27), but the White Bean Quinoa Burger with decadent Garlic Parm Fries is a masterpiece ($12). EAT: Locals also love Two Brothers – a lively pub on the edge of Middlebury College campus, Jessica’s at Swift House for upscale dining, and American Flatbread for flatbread pizza. STAY: Inn on the Green. It’s just a quick block to town from this 1803 Federalist and 1870’s Italianate-Victorian-addition inn. Renovated in 1995 to its just-post-Colonial roots, and with only 11 rooms, it’s perfect for people looking for both privacy and a small B&B experience (a very rare combo). Each room is a study in Colonial and Federalist antiques, with original wide-plank floors, and modern amenities (like flat-screen TV’s and upscale toiletries). Owners Bruce and Brenda Grove are troves of knowledge about Middlebury and the surrounding area. About that privacy: there is no “breakfast room.” Each morning, guests receive their morning meal in their room at a chosen time, selected from a menu the evening before. It’s quite civilized, actually. In the afternoon and throughout the day, you’ll find cookies and plenty of bottled water for the taking (yes, that means, complimentary), and other snacks as well. 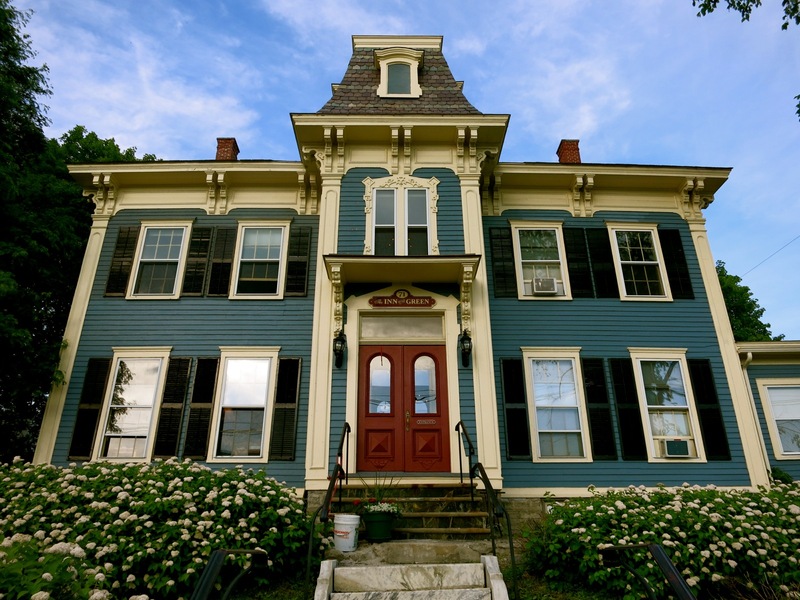 It’s a great place for those seeking an authentic Colonial New England inn. Rooms from $139-$279 depending on season and size of room includes unlimited water bottles, cookies, and freshly made breakfast delivered to your room. STAY: Middlebury Inn. This grand lady is almost 190 years old and has had more face-lifts than most of the Hollywood elite. 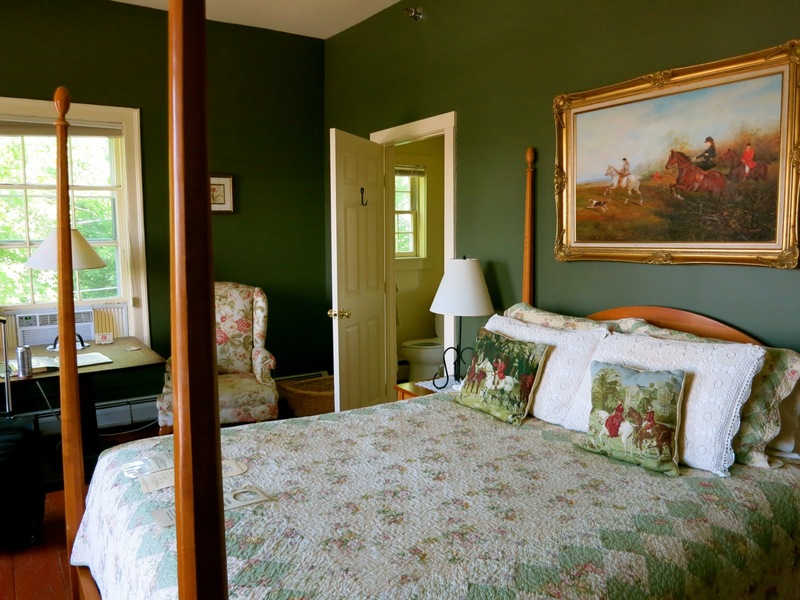 But the 71 room Middlebury Inn retains a distinguished “shabby chic” character. In the center of this college town, a grand ballroom was once located on the third floor, explaining the wide hallway (to accommodate the hoop skirts of the day) and soaring 12 ft. ceilings. Ask for a four-poster Queen deluxe room with navy floral carpeting and white comforters. Small bathrooms feature black and white mosaic floor and new granite counters or pedestal sinks. The inn lays out a bountiful, complimentary afternoon tea with baked sweets, warm and cold tea, and lemonade in a Federal-style lobby full of wing-backed chairs and other vintage furniture. Rooms and suites from $125-$275 include afternoon tea. 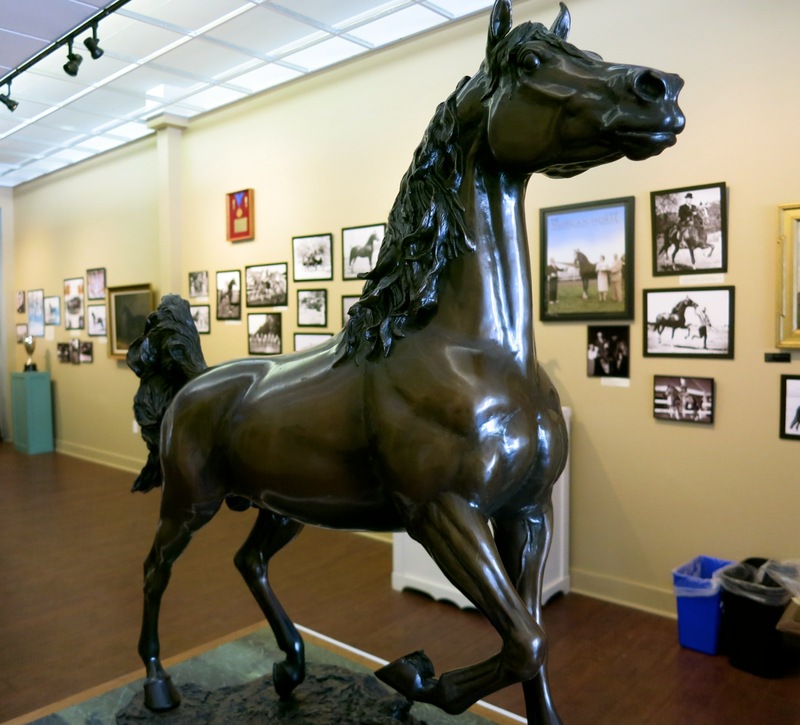 The National Museum of the Morgan Horse would love to use the photo of the statue from your post in our brochure and possibly other promotional materials. Please let me know if we have permission to use it. 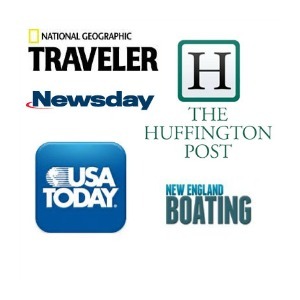 Thanks for including us in your Middlebury post!